Sister Mary Michelle Carroll, former vice president for sponsorship and assistant to the CEO, served at Saint Joseph’s Hospital from 1979 until her retirement in 2006. Sister Michelle joined the Sisters of Mercy 71 years ago and now lives at Mercy Convent in Savannah, GA. Sister Michelle grew up in Haynes City, FL, a small rural town without a Catholic church. She was the eldest of three children, attended Florida State University, and graduated with her degree in chemistry. Following her education Sister Michelle began a career in the Florida citrus industry where she was part of a team that helped develop a vitamin C tablet used by soldiers during World War II. Through the years, Sister Michelle served in many administrative roles. In her first role she served as principal of St. Vincent’s Academy in Savannah from 1954-60. Following that assignment Sister Michelle moved to Baltimore, MD, having been named the first principal of Mercy High School, a new school sponsored by the Sisters of Mercy and the largest high school for girls in the Archdiocese of Baltimore. She served in that capacity from 1960-63. Following her work at Mercy High, Sister Michelle was elected Assistant Provincial, and then Provincial, or head, of the Sisters of Mercy, Baltimore Province, a province which extended across southeastern United States. She served in these leadership roles from 1966-79 during which time she was involved with many decisions facing the various Mercy health care institutions. After her years in Congregational leadership Sister Michelle went to work full-time in health care. She served in the roles of vice president for sponsorship and assistant to the CEO at Saint Joseph’s Hospital of Atlanta, as well as chair of the board of Saint Joseph’s Health System. 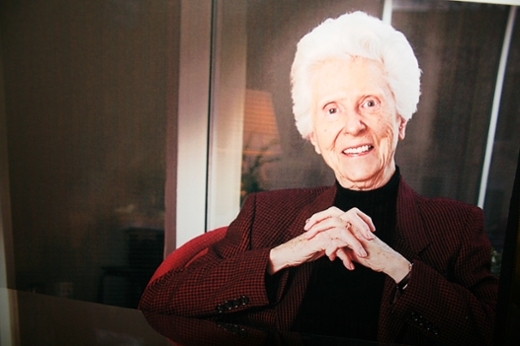 During her tenure, the hospital expanded greatly and her vision guided the Mercy mission in Atlanta. Sister Michelle was a key contributor in the formation of Eastern Mercy Health System (EMHS) and became the first recipient of the EMHS’s Sister Ellen Lawlor Award for Spirituality and Visionary Leadership. During her time at Saint Joseph’s Sister Michelle was also instrumental in reaching out to the homeless; her compassion and advocacy for the poor contributed to the significant growth of Saint Joseph’s Mercy Care Services. She also encouraged the health system to serve people wherever needed, using vans and mobile coaches instead of buildings. In addition, Sister Michelle worked to establish programs and services for employees in need. Saint Joseph’s Health System dedicates this center to Sister Mary Michelle Carroll.